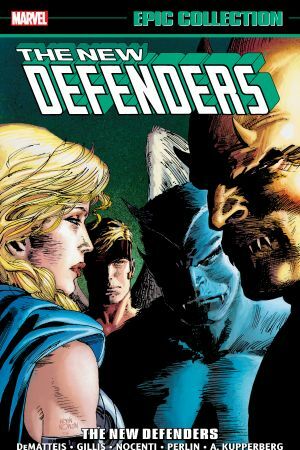 Collects Defenders (1972) #126-137, Iceman (1984) #1-4 and Beauty And The Beast (1984) #1-4. 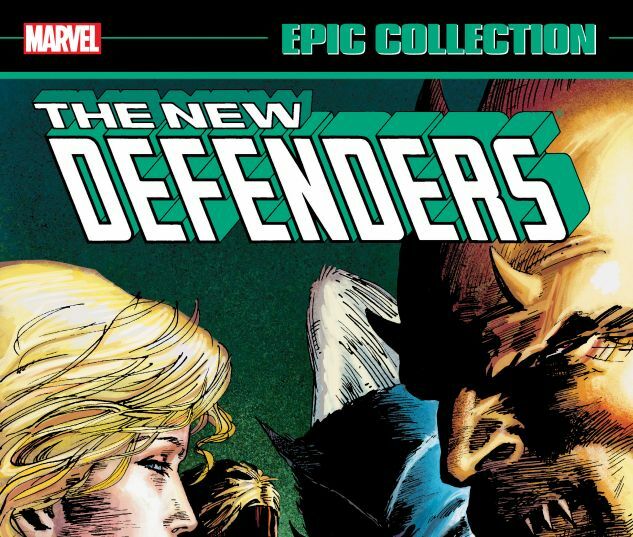 The Defenders, Marvel’s weirdest non-team, have a new roster, a new headquarters and a new leader — they’ve evolved into a New Defenders! Their adventures are some of the most far-out trips Marvel has ever presented, but what more could you expect from a group consisting of a Valkyrie, a gargoyle, a cosmic psychic, a sentient cloud and a pair of ex-X-Men? Together they’ll take on an all-new Secret Empire, killer nuclear spores in human form, the deadly Manslaughter and towering disembodied demons! Guest-starring Nick Fury, Odin, the New Mutants and more! 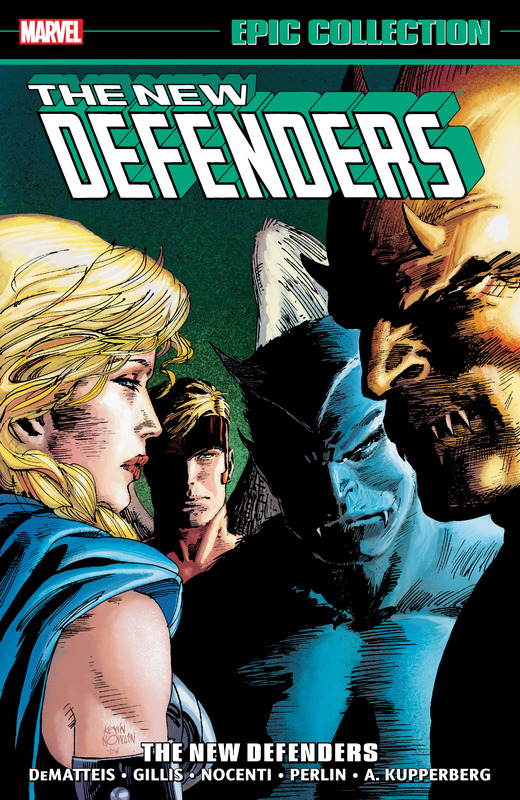 Also featuring two limited series starring the Defenders’ Iceman and Beast in solo action — plus rare articles from Marvel’s 1980s behind-the-scenes magazine, MARVEL AGE!